The Phoenix Suns have signed 2018 NBA Draft acquisitions No. 1 overall pick Deandre Ayton, No. 10 pick Mikal Bridges (pronounced Mick-EL), No. 31 pick Élie Okobo (pronounced EL-ee oh-KO-bo) and No. 59 pick George King. 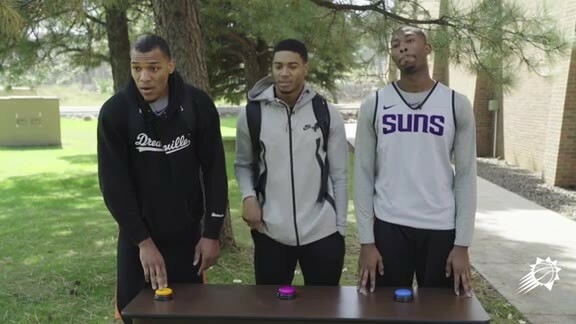 All four will make their Suns debuts as members of Phoenix’s entry at NBA Summer League 2018 in Las Vegas. 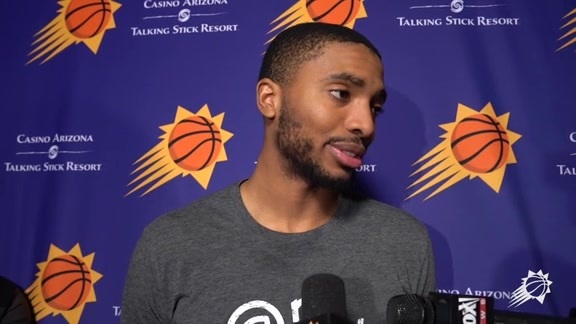 The Suns begin Summer League action tonight, Friday, July 6 at 6:30 p.m. (Phoenix time) against the Dallas Mavericks at Thomas & Mack Center; the game will be televised nationally on ESPN and also radio broadcast on ESPN Phoenix 620 AM. 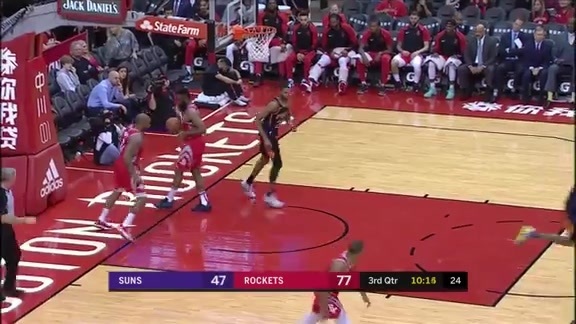 Ayton is the Suns’ first No. 1 overall selection in franchise history and is the first No. 1 pick in NBA history to be drafted by a team in the same state where he played in both college and high school. The University of Arizona product is a rare combination of size and skill, possessing uncommon athleticism, footwork and shooting touch for a player at 7-1, 250 pounds. The 19-year-old center averaged 20.1 points on 61.2 percent shooting, 11.6 rebounds and 1.9 blocks in his one season with the Wildcats, earning Consensus First Team All-America honors and winning the 2018 Karl Malone Power Forward of the Year Award. A native of the Bahamas, Ayton played in high school at Phoenix’s Hillcrest Prep where he earned numerous All-America distinctions prior to his collegiate career. Bridges, a versatile defender and exceptional shooter, helped Villanova University win two NCAA Championships (2016, 2018) in three seasons at the school. The 6-7, 210-pound wing won the 2018 Julius Erving Small Forward of the Year Award after averaging 17.7 points, 5.3 rebounds and 1.5 steals while shooting 51.4 percent from the field, 43.5 percent from three-point range (18th best in the nation) and 85.1 percent from the free throw line for the champs. Expanding his role in each of his three seasons with Villanova, Bridges was a co-winner of the Big East Defensive Player of the Year award in 2016-17 and created havoc defensively for Villanova’s title-winning team in 2015-16. The Philadelphia native was selected by the 76ers with the 10th overall pick before being acquired by the Suns on draft night. Okobo, a natural scorer who has made strides running the point, had a breakout 2017-18 playing for Pau-Lacq-Orthez of France’s top tier league, LNB Pro A. In 34 games this past season, the 20-year-old led his team with averages of 12.9 points, 4.8 assists and 2.7 steals, keying an 11-5 stretch to close the season and qualify for the playoffs. In the playoffs, Okobo scored 44 points including eight three-pointers in the opening game against top-seeded Monaco, the second-highest scoring game in the history of the French league’s playoffs. The native of Bordeaux, France is a leading contender for LNB Pro A’s Most Improved Player Award and was a 2017-18 All-Star selection, recording 17 points and a game-high 17 assists in the All-Star Game. King, an active defender and tough rebounder from the wing position, ranks second in University of Colorado history with a career three-point mark of 40.1 percent. The 6-6, 225-pound forward averaged 12.5 points and 6.4 rebounds over his final three seasons with the Buffaloes, named to the 2017-18 All-Pac-12 Second Team as a senior and winning the 2015-16 Pac-12 Most Improved Player of the Year award as a sophomore. The 24-year-old ranks fifth in CU history in three-point makes, 14th in rebounds and 18th in scoring. Raised in Fayetteville, North Carolina before attending high school in San Antonio, King elevated his draft stock following his senior season, being named East MVP at the 2018 NABC College All-Star Game before being named to the All-Tournament Team at the 2018 Portsmouth Invitational.